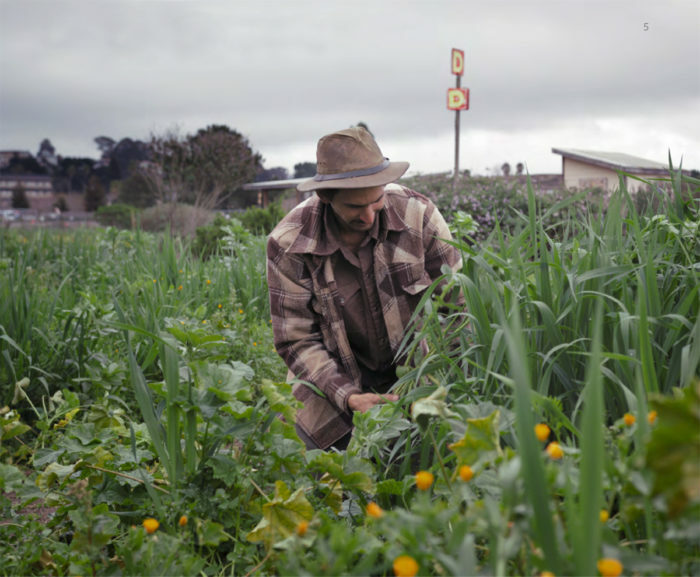 The farm manager at the Homeless Garden Project in Santa Cruz, Reyes approaches agricultural systems from a justice lens. Anthony Reyes found his calling working at the intersection of farming and social justice with organizations such as the Tilth Alliance in Seattle, the youth education program Common Threads Farm in Bellingham, and now with the Homeless Garden Project in Santa Cruz. 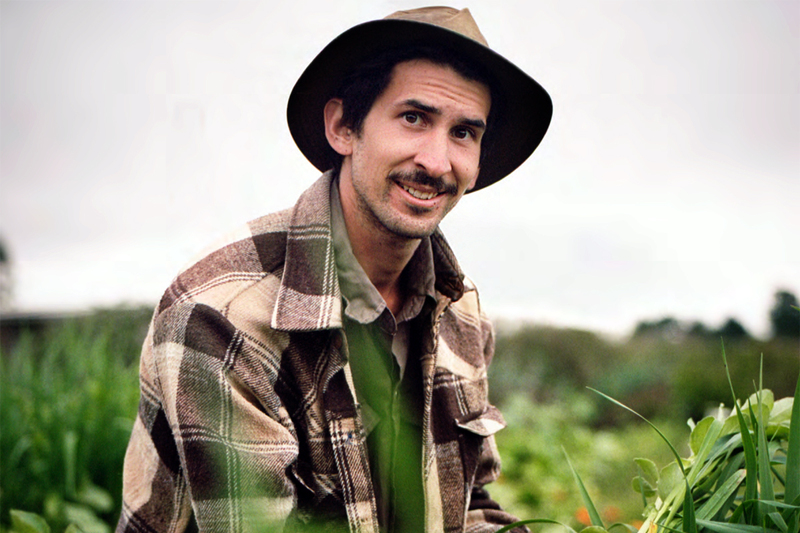 Reyes credits his college days at the University of California, Santa Cruz, for his passion for sustainable agriculture with a food justice focus. Reyes, a biracial Millennial with Mexican-American roots, always wanted to return to the area, a hub for farming with a mission. In 2017, he returned to the community where he first learned to grow food and view agricultural systems through a justice lens. In his first year at the Homeless Garden Project, Anthony Reyes says he was asked about every stereotype imaginable when working with this marginalized population. Chief among them: Do homeless people really work? There’s a lot of stigma associated with this population, he says. “For the record, the crews here are some of the most hardworking people I’ve ever met,” says Reyes of the participants in the non-profit’s year-long employment-training program at Natural Bridges Farm. Reyes spends his days on the farm bouncing between different posts—whether the field, greenhouse, farm stand, or kitchen—helping crews with their tasks on the 3.5-acre farm, which grows row crops and flowers. He’s also in charge of the organization’s three-pronged Community Supported Agriculture program. CSAs, an alternative marketing model that features a direct relationship between farmer and consumer, accounts for about 10 percent of the 25-year-old institution’s income. The program includes a traditional CSA, a U-pick version, and a scholarship fund, where people can donate to a CSA program for 10 local organizations serving the needy. Flowers go to a local hospice program and the program includes a value-added enterprise making and selling jams, dried herbs, and floral wreaths, which are sold at their downtown store, in a new shop in nearby Capitola, and online. Reyes has farming in his blood: Wisconsin dairy farmers make up his mother’s side of the family. His father is of Mexican heritage and his paternal grandfather ran a “mow and blow” business in Los Angeles. The smell of grass and a four-stroke engine is embedded in childhood memories, he says, and he looked up to his grandfather, a gentle soul. In college, Reyes says his studies helped him begin to see agriculture and outside work though a social justice lens. A key mentor on campus: a UC Santa Cruz lead groundskeeper whom he worked with, Jose Sanchez. As Reyes points out, homelessness and joblessness go hand in hand. Lack of job skills, a spotty work history, an absent social support network, and low self-esteem can all make the transition out of homelessness more difficult. The Homeless Garden Project’s program is designed to address these concerns, in addition to the challenges that come with substance abuse, mental health issues, physical or developmental disability, and the unique problems faced by veterans—all obstacles that disproportionately impact the homeless community. Housing is one of the most immediate problems. Some of the Homeless Garden Project’s clientele live in shelters, while others camp outside or in cars, or reside in tenuous subsidized housing situations. A team of social work interns help garden crew members find stable employment and housing. The interns also help the crew find resources to address other obstacles like transportation, substance abuse, and mental health problems. “Every single person on the crew has personal challenges they’re trying to work through. We very much meet people where they are,” says Reyes. In a region known for exorbitant rents and real estate, Reyes is well aware that many residents of the greater community—including some farm project volunteers—are just a paycheck or two away from homelessness themselves. Reprinted with permission from Hungry for Change, a publication of the Berkeley Food Institute. 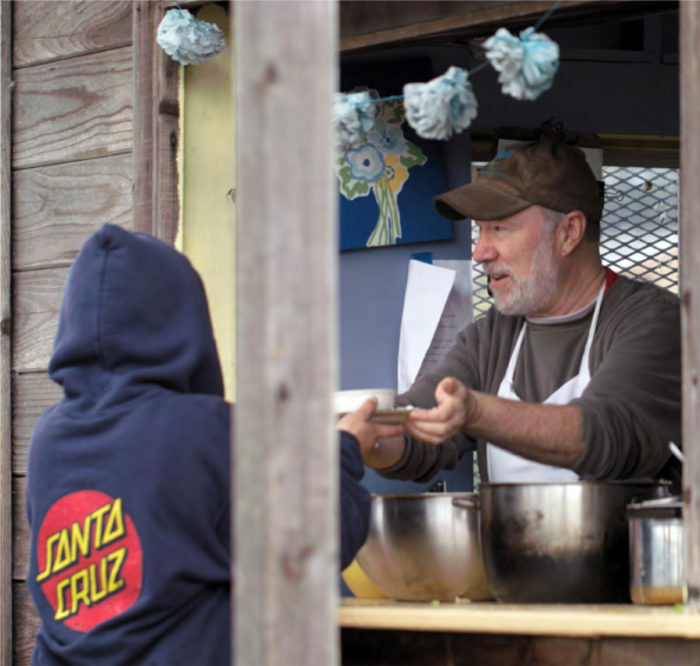 Read about other California emerging food systems changemakers here. Photos: Fabián Aguirre and Maya Pisciotto, The Understory. Great article. I have often thought if combining farming and homelessness. You are very inspiring. I would like to know more about how to begin this project. thanks for this article! Best wishes to Anthony and all the project farmers. So proud of you Anthony it’s an honor to have you as my nephew. Keep up the good work you are doing.